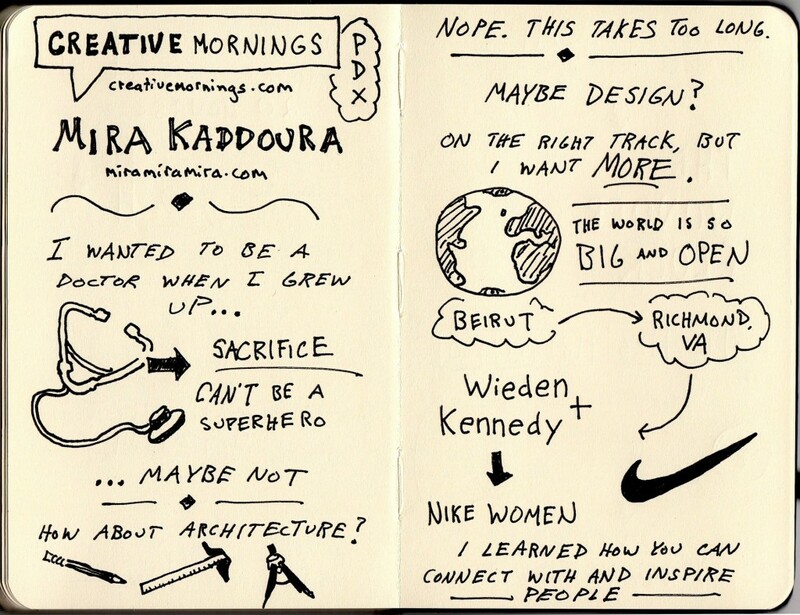 In her talk at a recent Creative Mornings event in Portland, Oregon, storyteller/problem solver/truth finder/optimist Mira Kaddoura shares the story of her creative development and explains how it led to a life pursuing projects that she’s passionate about. 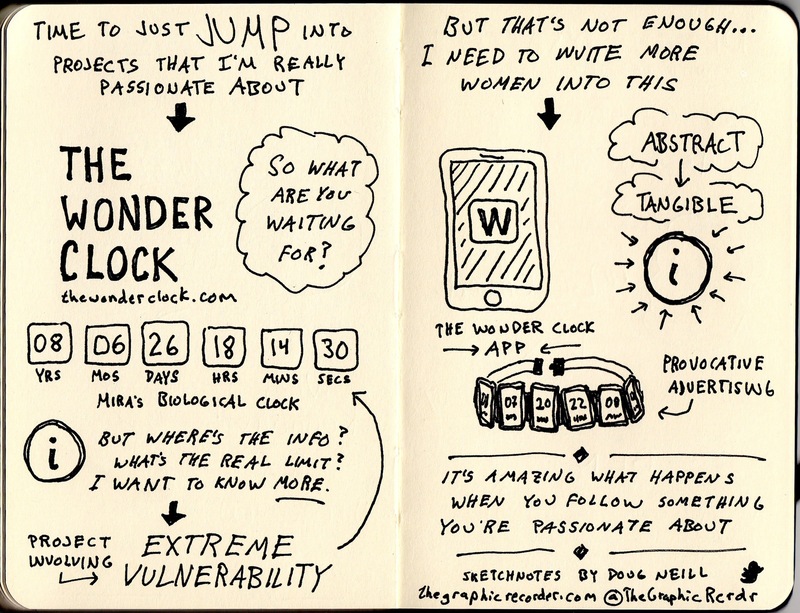 The Wonder Clock is one such project, in which she shares with the world the literal ticking clock marking the biological limitation on her ability to have children. She invites other women to take part, providing a space for conversation and information gathering. The sketchnotes below capture some of the ideas shared in her talk.